NOW recently named Fucked Up as Toronto’s Best Band as part of its annual Reader’s Choice survey. 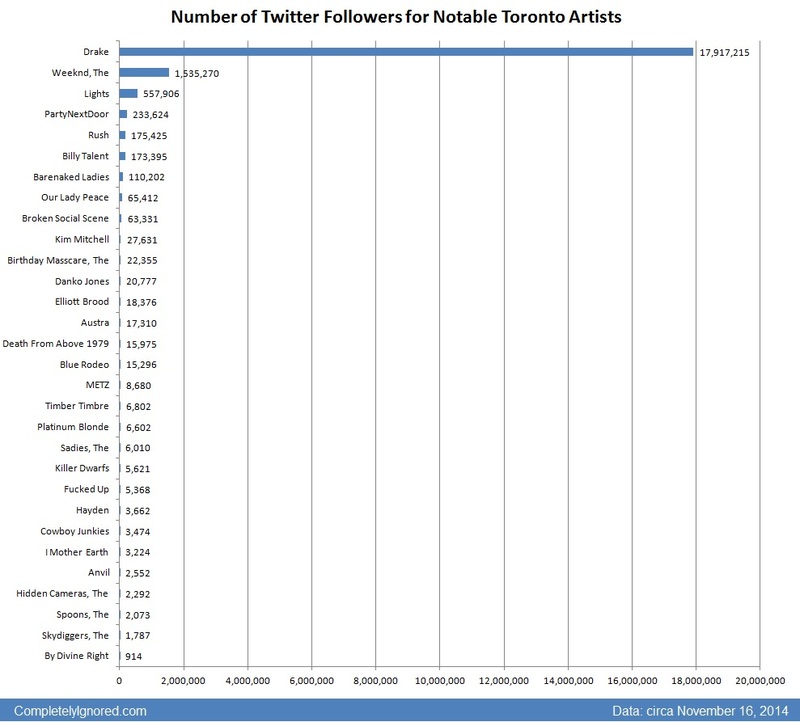 Fair enough but for some reason, reading this compelled me to run a comparison on 30 favourite Toronto bands (anecdotally) and see how they compared in terms of their social media followings on Facebook and Twitter. Having a ton of density on social media should be a clear sign of popularity. But maybe it’s not? It could mean your label is just ESPECIALLY talented at building your online following or perhaps your fan base skews towards the type of guys and gals who spend too much time on their computer or iPhone. 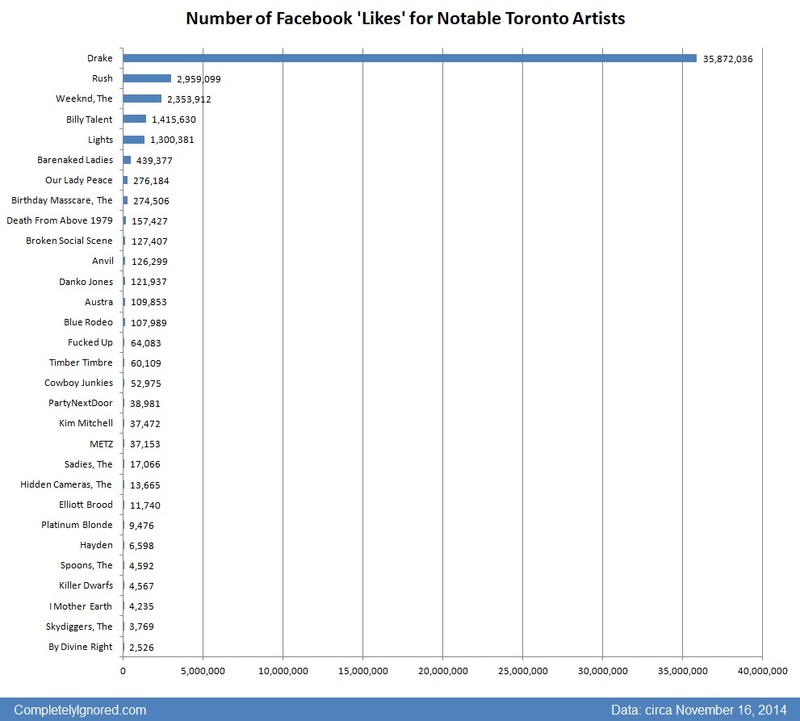 In terms of this latter suggestion, I was curious to see how veteran-yet-active Toronto bands (i.e. Rush, Blue Rodeo) compares to “hot young upstarts” (i.e. PartyNextDoor, METZ). Interestingly, there weren’t a lot of clear inferences that could be drawn between age of the band and their ability of mobilize their fans via social media. Granted, this was far from a truly scientific measurement but it does show, in part, that in 2014, fan bases will mobilize regardless of the tenure of the act (with a few outliers, just to confuse us and make us Google ‘PartyNextDoor’).